Homemade Wings for House Parties! Throughout my university and early dating years, the holidays were dedicated for house parties with close friends! We would take turns hosting parties where we sing karaoke, play board games, Mah Jong and video games until the wee hours. Good old times! With this type of party, food usually was the least important. Everyone just wants more time to play so we would just order in pizza and wings! Most of us have kids now, so it is harder to have parties like this. But it doesn’t mean we can’t or won’t have house parties any more. We just have to modify the way we party. Like we can start early and finish earlier and instead of ordering take-out, I would go with this healthier homemade baked chicken wings with a fresh salad. If you are having a house party, give these wings a try. You will never turn back to ordering take-out. Especially when making these could be faster than waiting for take-out! 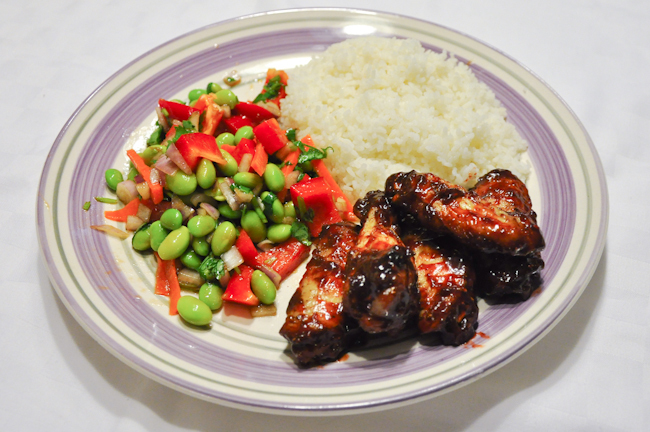 This entry was posted in Featured Dinners, Weekly Meal Plans by Mey. Bookmark the permalink.